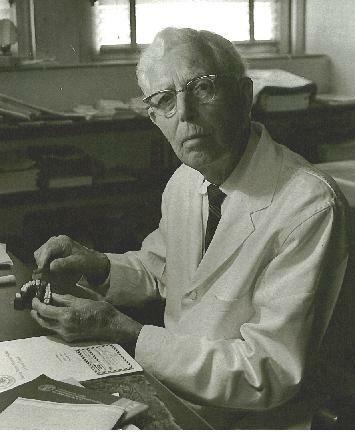 "A Clean Tooth Does Not Decay"
2018 marks the 75th anniversary of Charles C. Bass, M.D. 's first paper on oral health. Charles C. Bass, M.D., and others. “What better is there to do in life than promoting the health welfare of our fellow man?” Charles C. Bass, M.D. "Dr. Charles C. Bass - a medical doctor, not a dentist - created a simple method enabling virtually everyone to enjoy a lifetime of perfect dental health: Brush and floss correctly with his toothbrush and dental floss once a day before retiring to bed. The dental establishment refused to endorse his methods during his lifetime, but dentists across the country made pilgrimages to his New Orleans office to learn his method of preventive dentistry. This book tells the story of this country doctor who excelled as a physician, a researcher, an educator and a dental pioneer." "Dr. Charles C. Bass and the Bass Method"
The information presented in these pages is intended to promote the practice of personal oral hygiene, based on the studies of Charles C. Bass, M.D. Any questions or comments should be sent to Mail (at) personaloralhygiene.net.